I have decided to periodically use this page to promote music I have had no hand in making or distributing. I will be writing reviews of works I find highly inspiring and incredibly valuable in current experimental music. This is one of those reviews. 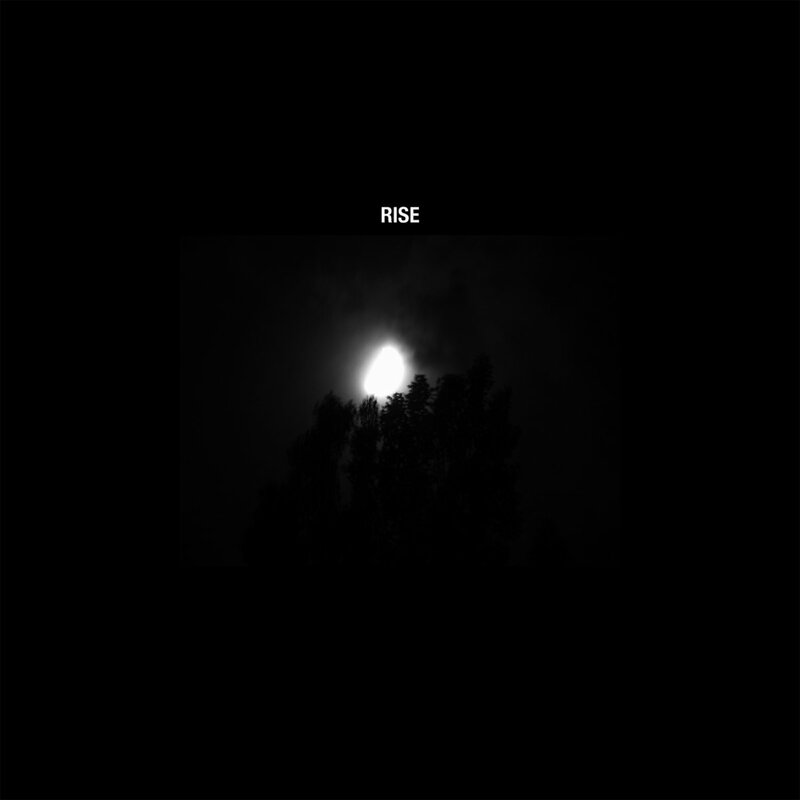 As with most of the Dave Phillips’ releases I’ve heard, Rise represents a multi-layered approach to the horror of everyday life. It’s an album that has to appreciated in its totality, both from the standpoint of a full narrative but also the totality of each individual moment. Unlike the standard listening associate with rock music, isolated sonic elements do not (and cannot) stand in for the rest of the song. Phillips provides no equivalent to a guitar solo stealing the spotlight while the rhythm section fills in the background. Each element of Rise, when isolated and pulled apart, holds no real power. When taken together, though, an overwhelming and rhizomatic sense of terror emerges. Opening track “we know enough to know how much we will never know” exemplifies this moment by moment totality. Rhythmic breathing and a heart-like synth set the stage before quickly giving way to demonic whispers, synthetic glitches, and field recordings of what sounds like random objects colliding on top of people gargling their own saliva. These field recordings would normally sound like the leftovers from the sound design for a slapstick comedy. In conversation with the rest of the sonic elements, however, Phillips’ signature aura of terror sinks in. The overwhelming cutup elements provoke images of the world in violent collapse, physically and arbitrarily destroying itself, while the vulnerable and underlying body that contains the heartbeat and breath of the track’s intro slowly dies without anyone noticing. The end of the track gives way to an ominous set of full bodied piano chords in place of this body. Where (and when) it evaporated remains unclear. Examining the lengthy text included with this album, a diatribe which clearly articulates the dire conditions of modern society and humanities continuing role in furthering a global environmental collapse, the narrative and meaning of this album emerges. We know what we need to do as a society, but we are absolutely unwilling to give up the power we have accumulated. Still, moments of resistance emerge from within these unlivable circumstances, providing an unexpected sense of hope to a bleak album (and, really, entire body of work). Phillips concludes the linear notes by saying “Most dimensions are yet to be explored. The real human potential has yet to be revealed. The process of liberation has only just begun. Rise.” In Phllips’ eyes, the stage has been set and the world is begging for action. While the power of our own understanding of the world should be enough of a catalyst, powerful statements such as this album remain destined to send sparks in all directions until they find a wick. Sale in Anticipation of a new batch!